Buckwheat ori­gi­na­tes in the ea­stern foot­hills of the Hi­ma­la­yas, in Yunan, Sichuan, and East Ti­bet. In Yu­nan and the Chi­ne­se pro­vin­ces of Shan­xi and Shaan­xi the buckw­heat grown and used is mostly of the com­mon va­riety. In south­west Sic­huan, Tar­tar buckw­heat is grown at 2000 to 2800 me­tres abo­ve sea le­vel, whi­le in Ne­pal both com­mon and es­pe­cially Tar­tar buckw­heat are grown at even hig­her al­ti­tu­des. Bhu­tan and the nort­hern parts of In­dia, par­ti­cu­larly around Sri­na­gar, as well as the nort­hern ter­ri­to­ries of Pa­ki­stan and Afg­ha­ni­stan are well-known for buckw­heat cul­ti­va­tion. From around the Hi­ma­la­yas, buckw­heat spread throug­hout the world, most pro­bably reac­hing Eu­ro­pe by the Silk Road, or per­haps through Si­be­ria. The first writ­ten men­tion of buckw­heat in Slo­ve­nia da­tes to 1426, which is also around the time when it is men­tio­ned by se­ve­ral Ger­man texts. Buckw­heat then spread throug­hout al­most all of Eu­ro­pe, par­ti­cu­larly across Ea­stern and Cen­tral Eu­ro­pe. It is known to have been cul­ti­va­ted by Rus­sians, Ukrai­nians, Be­la­ru­sians, Po­les, Ger­mans, Czechs, Hun­ga­rians, Bo­snians, Mon­te­ne­grins, Croats (es­pe­cially in the north, but also in Is­tria), Au­strians, Ita­lians (es­pe­cially in the north, in Val­tel­li­na and South Tyrol), in Sout­hern Swit­zer­land, Lu­xem­bourg, Fran­ce (es­pe­cially Brittany), and even in Fin­land (par­ti­cu­larly in the sout­heast), the­re are also wri­tings re­fe­ren­cing the cul­ti­va­tion of buckw­heat in Por­tu­gal, Spain, En­gland, and Scot­land. In the 20th cen­tury, buckw­heat gave way to ot­her crops, es­pe­cially fod­der plants, ho­wever, the last few years in Eu­ro­pe have seen a re­ne­wed in­te­rest in buckw­heat’s cul­ti­va­tion and use. From Europe, buckwheat also travel­led to Ca­na­da and the nort­hern Uni­ted Sta­tes. The­re are sto­ries about emi­grants from Prek­mur­je ta­king buckw­heat groats in­stead of cash to Ame­ri­ca, in or­der to cook with it and sell it. 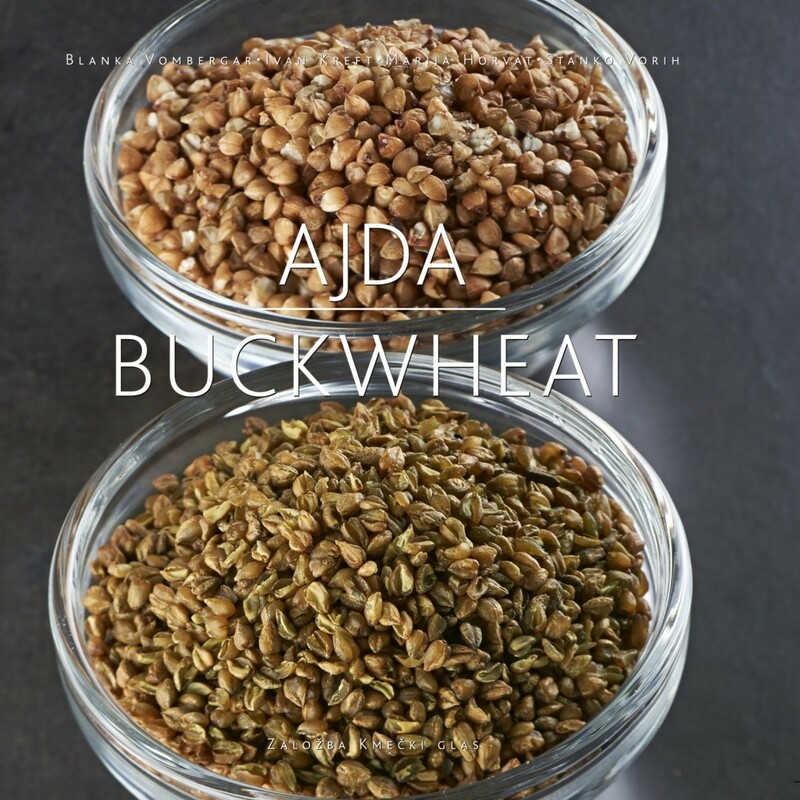 From China, buckw­heat made its way to Ko­rea and Ja­pan. The first known Ja­pa­ne­se text re­fe­ren­cing buckw­heat is from 722, but it is ge­ne­rally thought to have already been wi­des­pread in late 4th or early 5th cen­tury. Buckw­heat was par­ti­cu­larly typi­cal to the Shi­na­no Pro­vin­ce (to­day the Na­ga­no Pre­fec­tu­re), whe­re it was con­nec­ted to the Budd­hist li­festy­le. From Ja­pan, buckw­heat tra­vel­led forth, as Ja­pa­ne­se emi­grants took it to South Ame­ri­ca (es­pe­cially to the Pa­raná sta­te of Bra­zil) as well as to Australia in the past 20 years. The Australian state of Ta­sma­nia has for some time been known for its "Tasmania-soba" buckwheat, grown for the Japanese market. Dr. Blanka Vombergar, Principal of Higher Vocational College at The Education Centre Piramida Maribor and lecturer in nutrition, dietetics, and gastronomy Chair-person of Fagopyrum – Slovenian association for buckwheat promotion; Vice-Chair (2013–2016) of the International Buckwheat Research Association (IBRA). 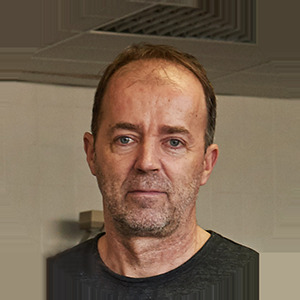 Dr. Ivan Kreft, Scientist, Nutrition Institute, Ljubljana, Slovenia (The author acknowledges the financial support from the Slovenian Research Agency (research core funding No. P3-0395 and project No. 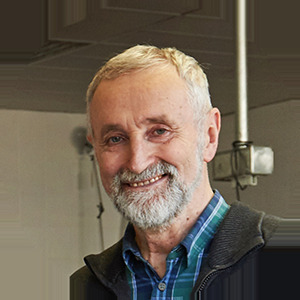 L4-7552); Professor, Biotechnical Faculty, University of Ljubljana; Member of the Slovenian Academy of Sciences and Arts. Chairman (2013-2016) of the International Buckwheat Research Association (IBRA). Editor of Folia biologica et geologica and Fagopyrum. 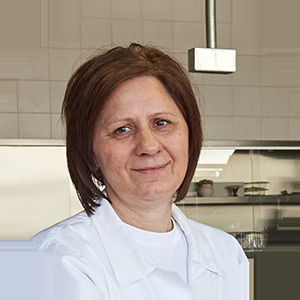 Marija Horvat, Eng., teacher of practical work in confectionary subjects at The Education Centre Piramida Maribor. Member of jury for cereal products at Specialties of Slovene farms exhibition in Ptuj; conducts various practical confectionery workshops for children and adults. 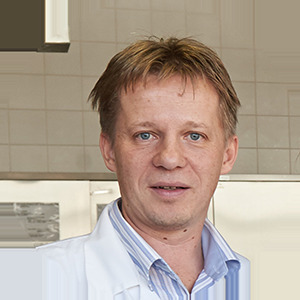 Stanko Vorih, Eng., teacher of practical work in bakery subjects at The Education Centre Piramida Maribor. 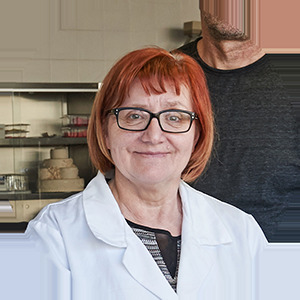 Member of jury for cereal products at Specialties of Slovene farms exhibition in Ptuj; conducts various practical baking workshops for children and adults. Tomo Jeseničnik is a freelance photographer specialized in advertising, food, still-life, corporative, portrait and commercial photography. His photographs were published in more than 120 Slovene and international books and in more than 140 magazines and newspaper all over the world. Beat the butter, gradually mixing in eggs, salt, cottage cheese, whole wheat meal, and buckwheat flour. Mix everything together until smooth. Refrigerate for 1 hour, then shape into balls, which should be put these on a floured tray. Press a raspberry (can be frozen) into each of the balls and close them up. Roll them around in buckwheat groats and buckwheat flour if desired, then put them back in the refrigerator. Cook in a large amount of salted boiling water for up to 15 minutes or until they float to the surface. Meanwhile, mix breadcrumbs with a bit of sugar, vanilla sugar, and cinnamon. Take the hot dumplings and dip them in the mixture. 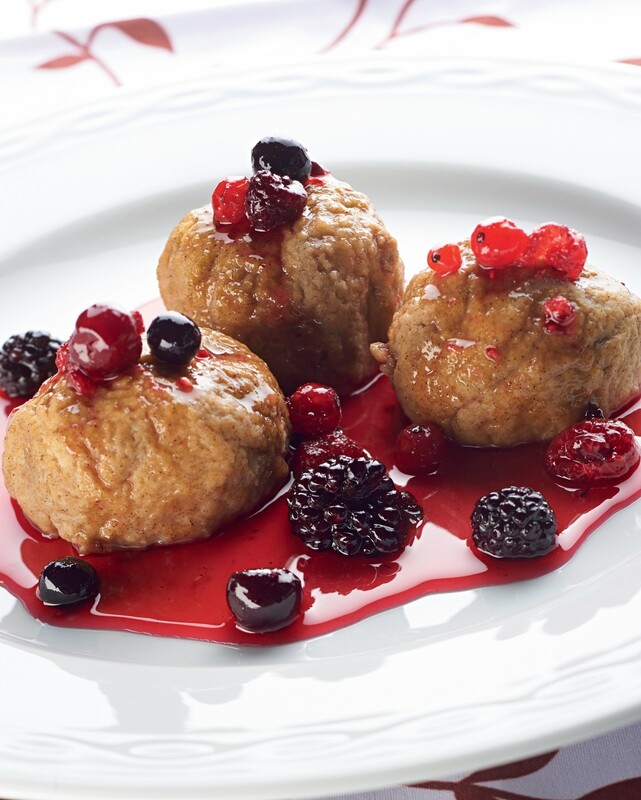 Serve with a sweet sauce made out of sugar and raspberries or other wild berries.